Windhoek, Tok Tokkie Trail, Namib Desert, Namib Naukluft National Park, Kuiseb Canyon, Swakopmund, Spitzkoppe, Etosha Pan, and more! Explore the heartland of Namibia, one of the most sparsely populated countries in Africa. 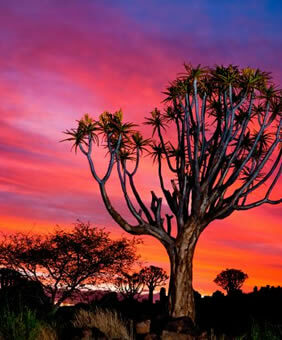 Our gay tour of Namibia is a journey through a virtually undiscovered wilderness. 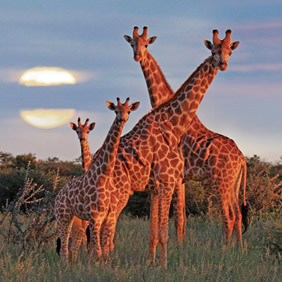 We will show you all the wonders that Africa is known for. We’ll hike through deserts, and bike through otherworldly terrains. We’ll sleep under the stars and get up close and personal with the animals. After you see Namibia, Africa will never be the same. 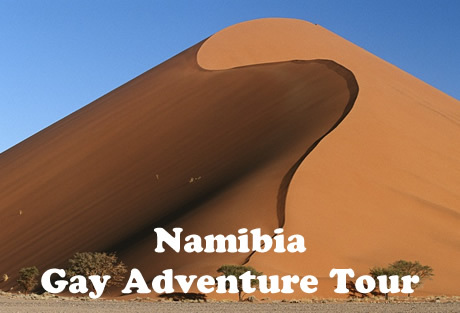 We invite you to join our friendly gay group to explore the diversity of Namibia. 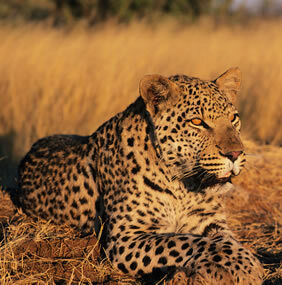 Because of its sparse population, Namibia has a richer variety of wildlife than many of its neighbors. During this tour we will stay in 6 different habitats in which to observe the animals, even camping for two nights for an unforgettable experience. From some of the highest sand dunes in the world in the Kalahari Desert, to the rugged Atlantic coastline, to the wide savanna, this gay safari tour will take us on a scenic exploration of this remote country in Africa. We will create a once-in-a-lifetime journey. • Drive into a blazing sunrise and witness the awakening of the Namib Desert. 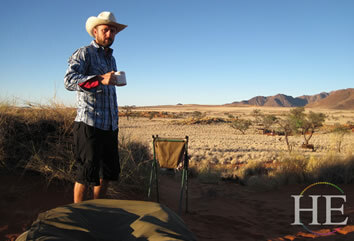 • Listen to the calls of the tok-tokkie beetle and other desert creatures during many excursions into the bush. • Sleep under the vast, star-filled Namibian sky. • Hike across some of the tallest sand dunes in the world. • Bike through other-worldly landforms in Kuiseb Canyon. 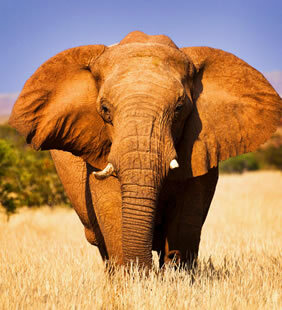 • Explore incredible deserts and search out endangered African animals. • Eat exotic local cuisine, and join in local customs. 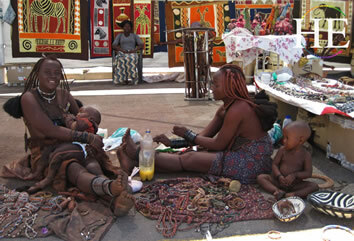 • Shop with the locals at the market in Katutura Township. Day 1 - Welcome to Windhoek! We will be transferred from the airport to our cozy lodge less than an hour southeast of the city. The hotel is a spot of lush greenery in the red sand desert, the perfect place to end our day of travel. For our guests who arrive early in the day, there may be time for a game drive before dinner. Because many flights arrive later this evening, no group activities are scheduled but if you wish to arrive a day early we can book an additional hotel night for you (subject to availability). Due to long flights the day before; we will ease into the tour and enjoy a game drive today. We will enjoy our Welcome Dinner this evening and have time to get to know one another. Then rest and relax…..your wake-up call has been scheduled for the morning. After an early morning game drive (with luck we may spot cheetah or leopards), we’ll begin our journey south and west, through the cities of Mariental and Maltahohe to our trailhead. We’ll arrive in the early afternoon and stretch our legs with a hike to our first camp. Trained local guides will teach us to spot the wide variety of wildlife that call this desert home. We’ll dine under the vast expanse of the Namibian night sky. We’ll take a 4-hour hike through the bush this morning before relaxing with a long break in the shade to enjoy lunch. Desert-adapted wildlife, such as ostrich, springbok, and gemsbok sparsely populate the region. The aptly named dune lark is a species of bird that only makes its home here due to its dependence on the area’s characteristic sands. We’ll continue just 2 more hours to our next camp, which is ready for us to partake in snacks and sundowners before sleeping under the stars again tonight. Creatures such as bat-eared fox and aardwolf may be spotted at night in the cool desert air. Our 3-hour morning hike concludes at the lodge, where we’ll have a delicious lunch. This afternoon we transfer to our exotic and luxurious accommodations in the Namib Desert, the oldest desert in the world. The Desert is part of the Namib Naukluft National Park that stretches 250 miles south of Walvis Bay between the west coast and the escarpment that runs parallel more than 70 miles inland. Its huge dunes and flat valley floors create the archetypal view of the Namib. This morning we enjoy a beautiful sunrise bicycle ride among the highest dunes in the world (with our van available for non-cyclists). A bit later we’ll set off into the Namib Desert with our experienced guide for an amazing walk on mostly hard compacted sand – our guide will show us how to walk on sand dunes with the least effort. 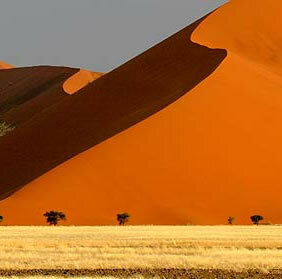 We’ll visit Big Mama, a huge sand dune overlooking the Sossusvlei clay pan. A 4×4 shuttle will take us back to the tour vehicle just in time for lunch at the lodge. The afternoon is free to relax, with some guests choosing to take an optional late afternoon small airplane tour all the way to the Atlantic Ocean at just 500 ft (150 m) above the ground. This special hour-long flight takes us to the Forbidden Coast, over undulating dunes and canyons, and is by arrangement pending minimum participation. After an exquisite hike or bike ride through Kuiseb Canyon, we’ll head to Swakopmund, a German colonial town situated on the Atlantic Ocean. Namibia was under German, South African and United Nations control for most of the 20th Century, but has been stable and independent since 1990. We’ll see many of the cultural influences at work in this urban center. Swakopmund has so many optional excursions to choose from, such as a flight along the Skeleton Coast and farther to the Himba people, or a jaunt into the moon landscape where you can see ancient rocks over a billion years old and the largest desert plants. You may also enjoy a day trip into the desert with quad bikes (the local name for ATVs) or a boat trip departing from neighboring Walvis Bay to see marine species such as pelicans, flamingos, cape fur seals and Southern Right Whales. Our guide will help make arrangements for you today if you would like, or you may prefer to rest and relax after a very busy week of hiking and biking. Today we visit Spitzkoppe, an impressive granite mountain formation, to view the ancient rock paintings of the Khoisan (formerly referred to as the Bushmen). 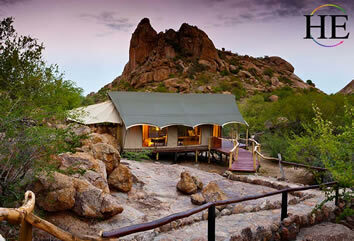 We’ll cycle and hike here and then head to our welcoming wilderness lodge, nestled among amazing rock formations. We will marvel at the cracked earth of the Etosha Pan today. The surrounding savanna is home to huge herds of mammals and wildlife. We’ll check into our luxurious lodge and enjoy a game drive in an open vehicle. This morning we’ll take a game drive to see animals such as lions, giraffes, black rhinos, springboks, gemsboks, kudu and many more antelope, as well as plenty of birdlife. Our afternoon is at leisure before joining up for a cozy dinner together. Today we have a long drive, so we’ll stop for a while along the way. We have arranged a bicycle tour with a local wilderness lodge. After stretching our legs, we’ll hop back in our vehicle and finish our journey to our downtown hotel in Windhoek. Tonight we will enjoy our farewell dinner. We will transfer to the airport today, and those with late afternoon or evening flights may enjoy an optional midday trip to Katutura Township. Chartered Light Aircraft Tours: Variable Price dependent upon the number of Passengers who sign up. Please let us know your interest. The final price will be determined 30 days prior to the trip, and payment will be due for flights at that time. Day 5: A one-hour flight from Sossusvlei touring the Forbidden Coast area south of Swakopmund in the area known as Lange Wand and Sesriem Canyon. The estimated maximum per-person price for this flight is $610, with the price decreasing as more people sign up for the flight. 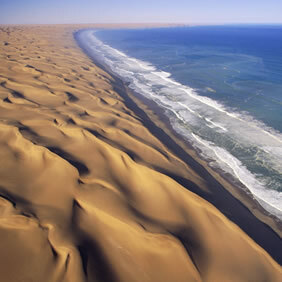 Day 7: A two-hour flight from Swakopmund touring the Skeleton Coast to the north: Swakopmund, Rössing Mine, Spitzkoppe, Brandberg & Ugab River, Damaraland, Neapolitan lava flows, Cape Cross, Skeleton Coast, Shipwreck, Salt Pans & Swakopmund. The estimated maximum per-person price for this flight is $965, with the price decreasing as more people sign up for the flight. This tour starts and ends in Windhoek, Namibia. Do I need a Visa to visit Namibia? Because these requirements can change, please consult their website for the most up-to-date travel information for Namibia. If you are not an American citizen, please confirm your travel requirements with the Namibian embassy in your country. Some challenging desert hikes and bike rides are offered during this trip. Days may be very hot and certainly very dry. Proper fitness and attention to hydration are necessary to enjoy this trip. We will spend 9 nights in lovely hotels or luxury tented lodging with private facilities. We will spend two nights sleeping under the stars on comfortably appointed cots. Bathroom and shower facilities will be available at our campsites. Do I need any vaccinations or medications? Are there any guidelines for tipping in Namibia? HE Travel Tour Director: Tipping your HE Travel tour director is at your discretion. Rest assured that he or she works hard behind the scenes to ensure that your vacation is a wonderful, adventurous, once-in-a-lifetime experience. Your HE Travel host is there to deal with any snags or hiccups so that you can enjoy your well-earned holiday. We suggest $5 to $10 per traveler per day depending on the level of service you receive. Hiking/Camping Crew: $4 – $5 per guest per day. Restaurants: The customary tipping for waitstaff is 10-15% of the total. When dining independently, you can use that guideline. For included meals we share together, your HE Travel host will take care of the bill and tips, unless stated otherwise before the meal.